Acknowledging the power of ancient presences and landscapes is integral to the creation of my collages, paintings, handmade paper, photography, and fine art books. Making books allows me to pair text with imagery and various papermaking techniques. Fragments, both literal and metaphoric, are also vital to my process. Through a parsing out and weaving together of fragments–of histories, stories, objects–we fashion narratives that are personal, collective, cultural, mythic. My practice draws on travels throughout the world and is deeply grounded in a sense of place, the distinct mythologies, geology, archaeology, language and experiences therein. I seek ways to re-creates the warmth and wonder the earth holds: The object of love is to know beauty. My practice aims toward that desire to know beauty. An interpretation of land forms, maps, water forms as well as images from antiquity with human form are my sources for creating sensually abstract compositions and artists books in which both form and content are equally important. 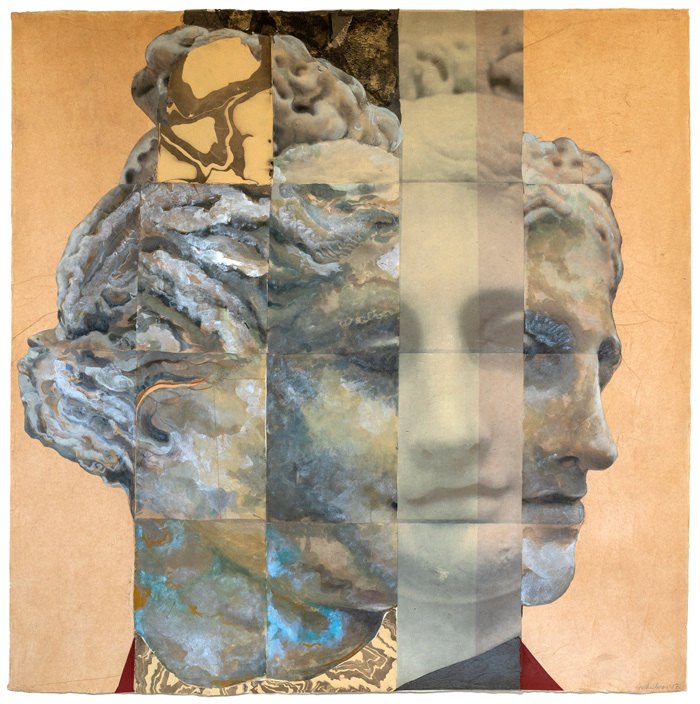 Mary Heebner is a visual artist whose collages, drawings and fine art books are in public collections that include The Library of Congress, The National Gallery of Art, The New York Public Library, John Paul Getty Research Institute, Santa Barbara Museum of Art, San Francisco Museum of Modern Art, University of California, Stanford University and The British Library. 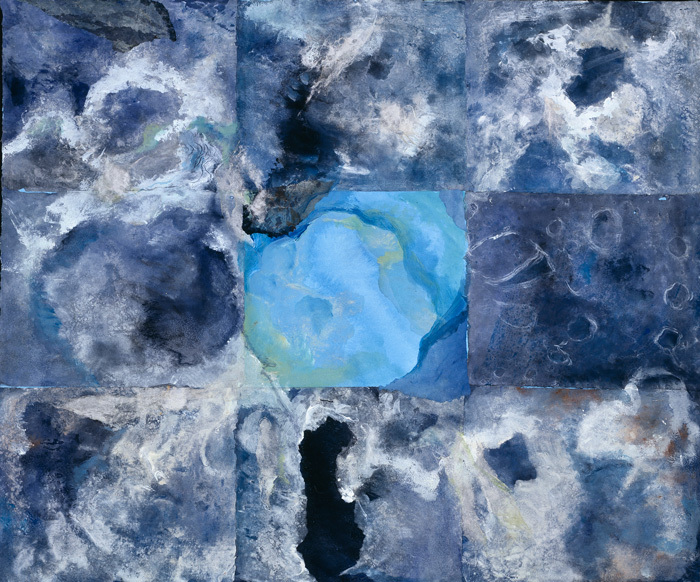 She is an alumni of UCSB’s College of Creative Studies, a Regent’s Scholar, and received her MFA at UCSB under the mentorship of collage artist William Dole. 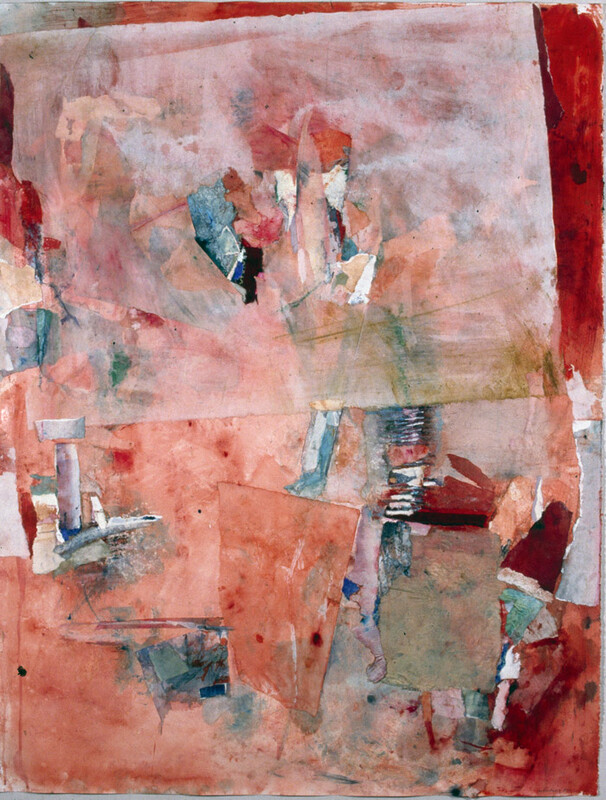 Heebner remarks, “I made my first collage–pasted together with rubber cement–in 1977. I tore out out the interesting parts, I dubbed “nuggets,” from several otherwise boring watercolors and glued them into a composition, making a whole from a handful of parts. The next year, in 1978, my MFA exhibit was almost entirely collage. I’ve been making collages, large and small, ever since.